Before they became the even-year Call of Duty developer, even before they became an Activision port house, Treyarch developed original IP. Their first was Die by the Sword, a medieval hack and slash game which combined both 3D action/adventure and arena battle gameplay. Players could cut their opponents limbs off and use them against them. 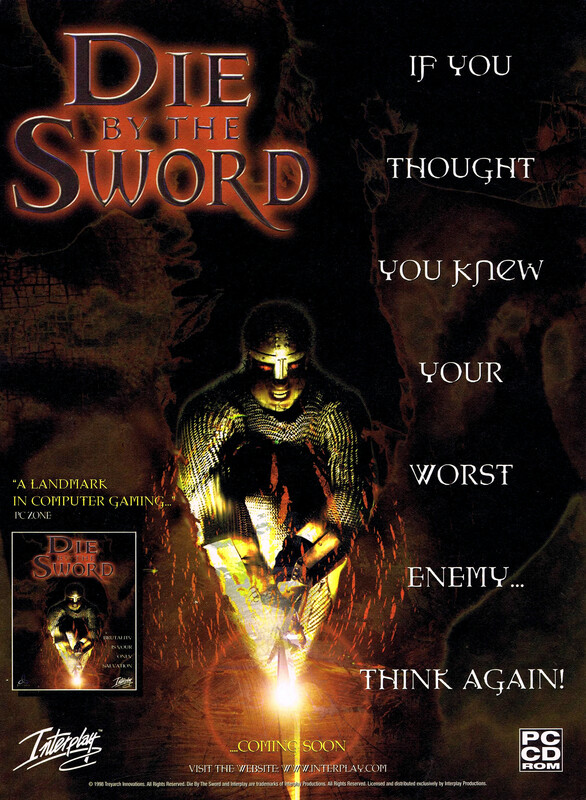 The game used a revolutionary-but-clumsy control system called VSIM, which gave players full control over their sword swings.